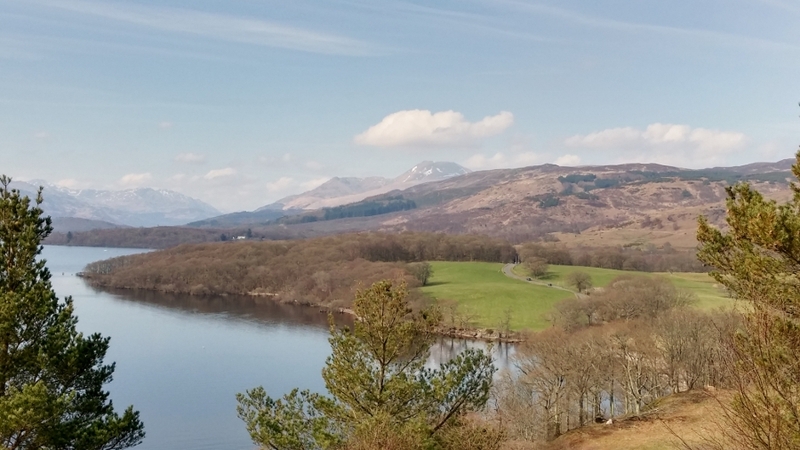 A fortnight ago, I was fortunate enough to attend one of Rabbie’s outbound tours, specifically their Loch Lomond and Stirling Castle day tour. 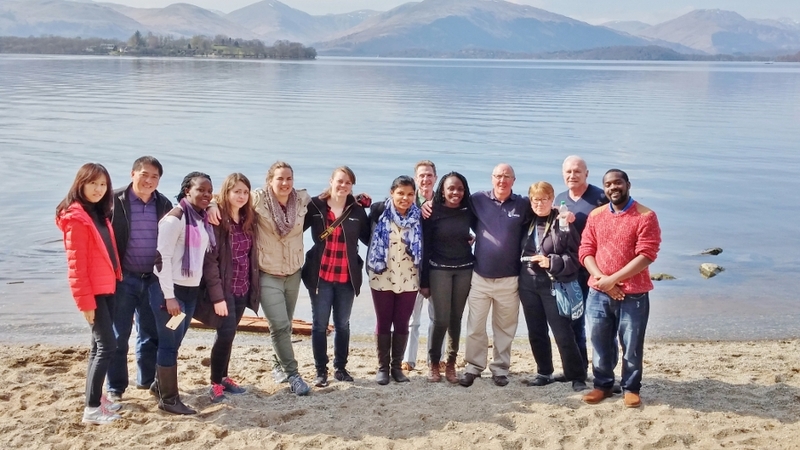 Rabbie’s (the colloquial moniker of our national bard, Robert Burns) is a multi-award winning touring agency, offering small group tours across the UK and Ireland since 1993. 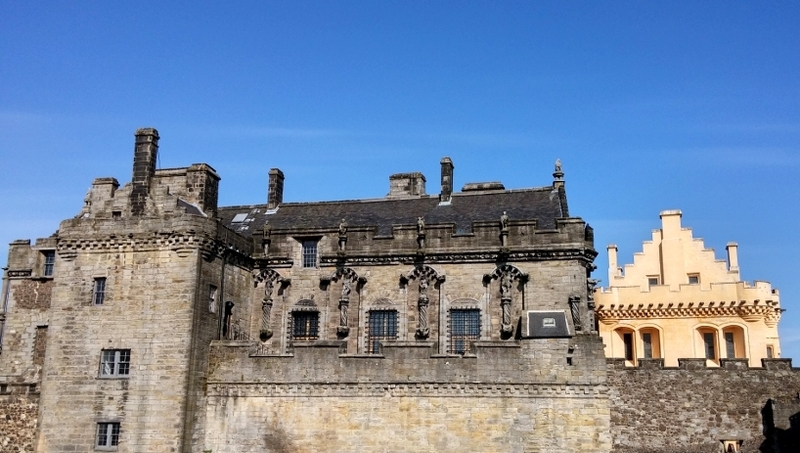 They are also our recommended affiliates for guests who want to venture beyond Edinburgh during their stay with us, and recent winners of the prestigious Queen’s Award for Enterprise in International Trade. 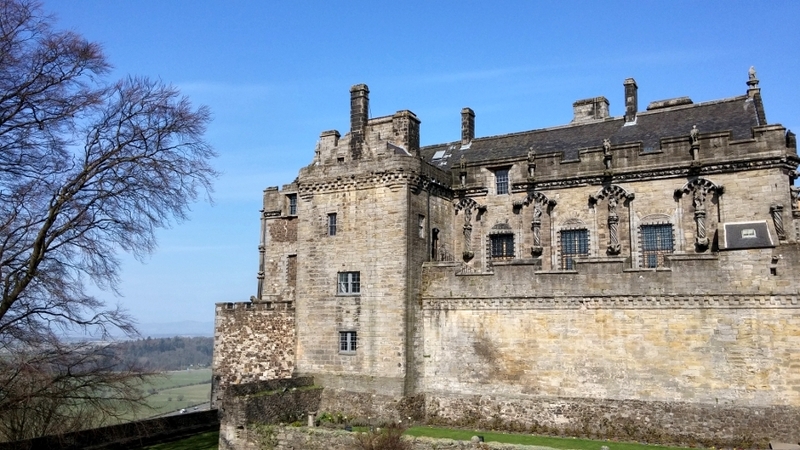 Once our party had boarded the immaculate tour bus, our affable guide, Mike, explained the itinerary, which involved three main touchpoints: Stirling Castle, Aberfoyle, and Loch Lomond. 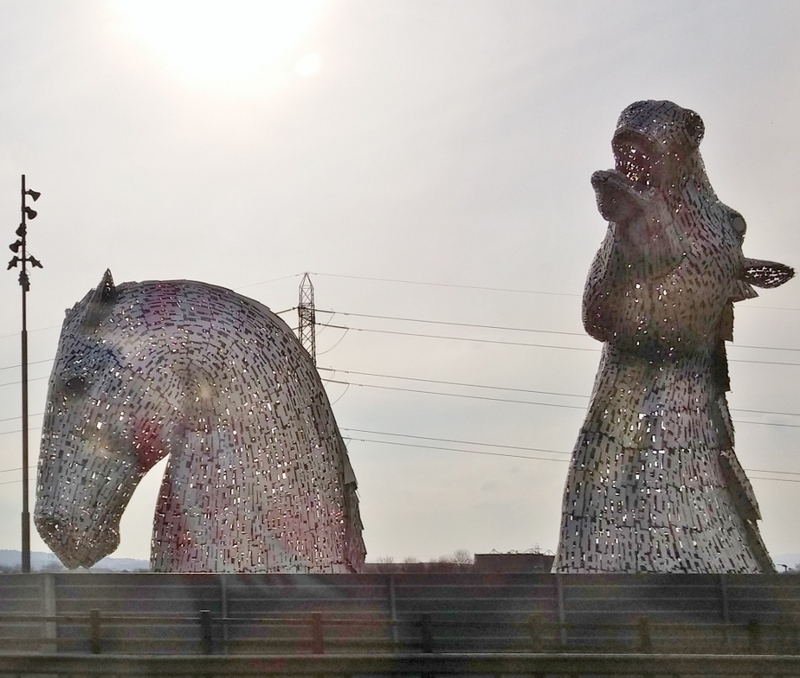 We were blessed with glorious spring sunshine throughout the day, and as we left Edinburgh, Mike related some of the history of the city with reference to the landmarks enroute. 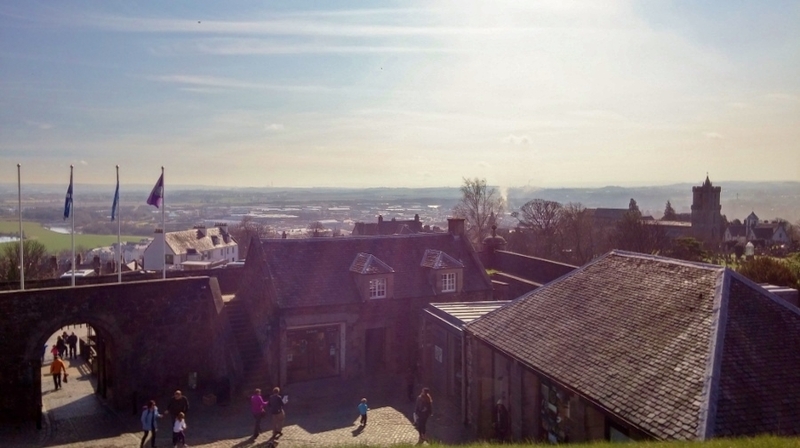 I was particularly struck by the parallel he highlighted between the formation of Edinburgh’s Castle Rock (a ‘crag and tail’, where an iceberg strikes a landmass and tapers off beyond, as can be seen in the escarpment of Edinburgh Castle and the adjoining Royal Mile) and Castle Hill in Stirling, which was immediately evident upon our approach. 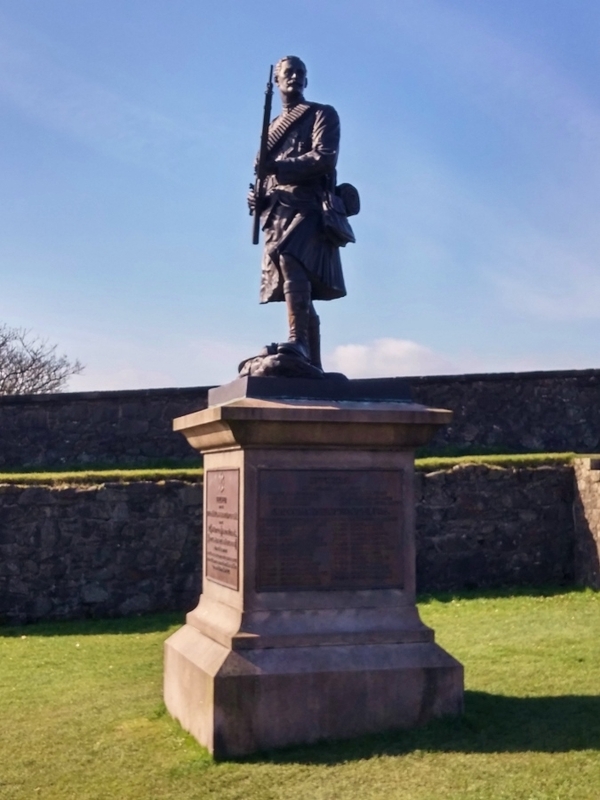 Mike identified the monuments to Robert Burns and William Wallace as we ascended Castle Hill, and shed some fascinating insights into the ahistorical representation of the latter. 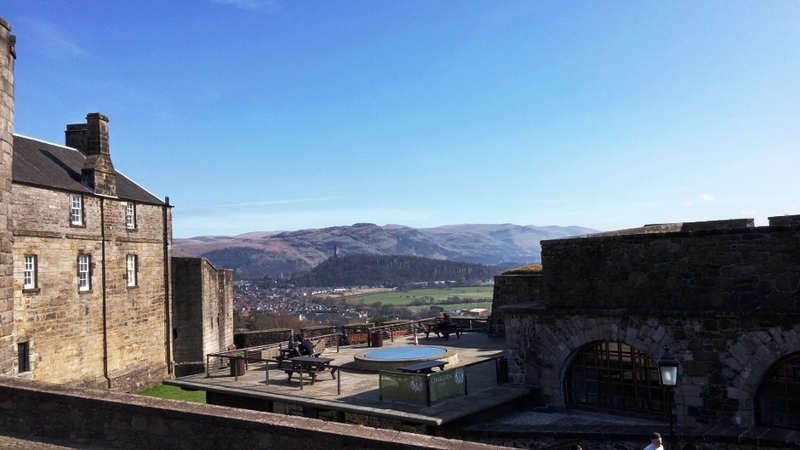 We disembarked on the promenade and were treated to vistas over the city, commanded by a second monument — this one a tower — to Wallace, the National Wallace Monument, breaking from the foliage in the distance. 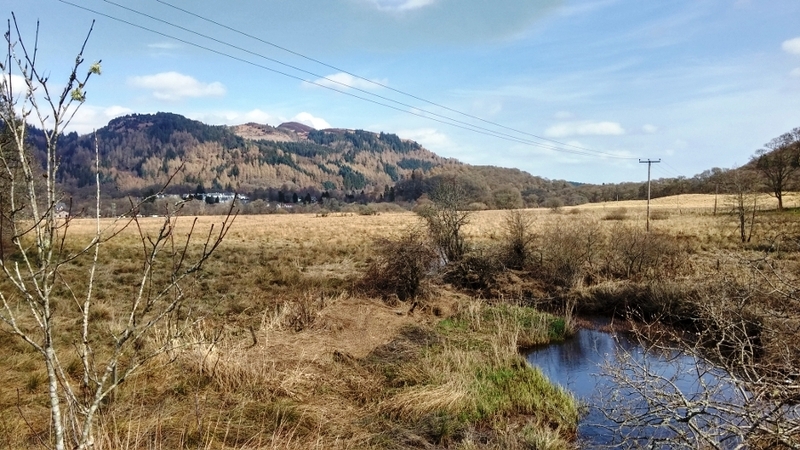 This marks the site of the 1297 Battle of Stirling Bridge, when, Mike explained, Wallace and Andrew de Murray drubbed the larger forces of the Earl of Surrey, in part of the First War of Scottish Independence. 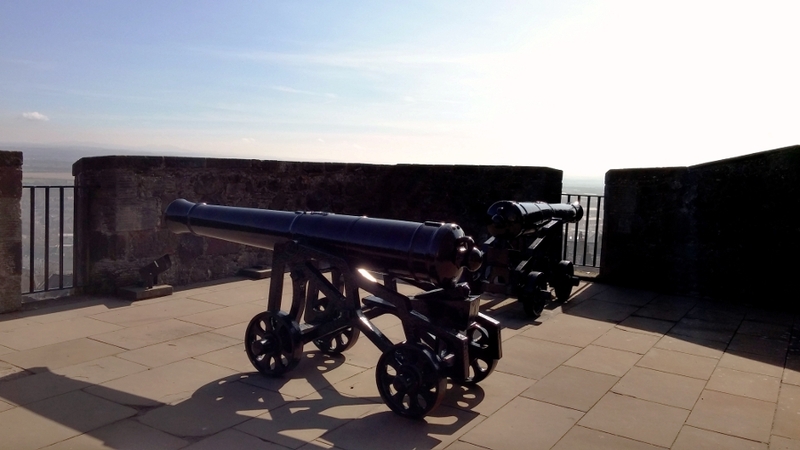 We were given free reign to explore Stirling Castle, so I opted for one of the guided tours departing on the hour. The strongly spoken Ross conducted most of our tour outdoors to take advantage of the glorious weather. 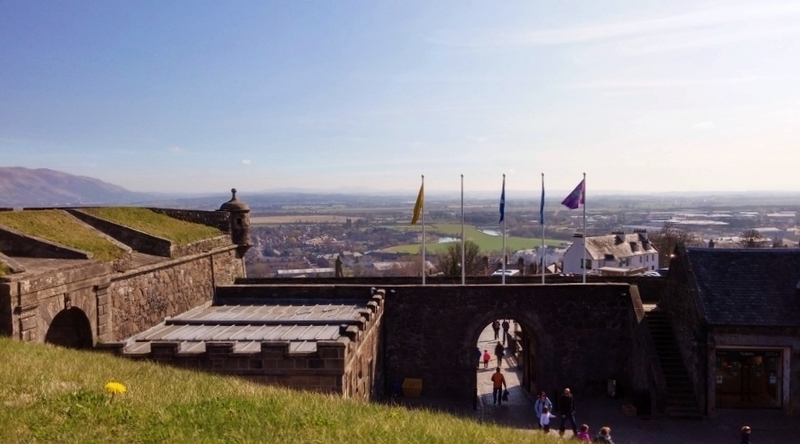 From the forework, we were told how little of the original castle remains to this day, shown some telltale signs of fixtures that have fallen and prompted to envisage what they must once have looked like. 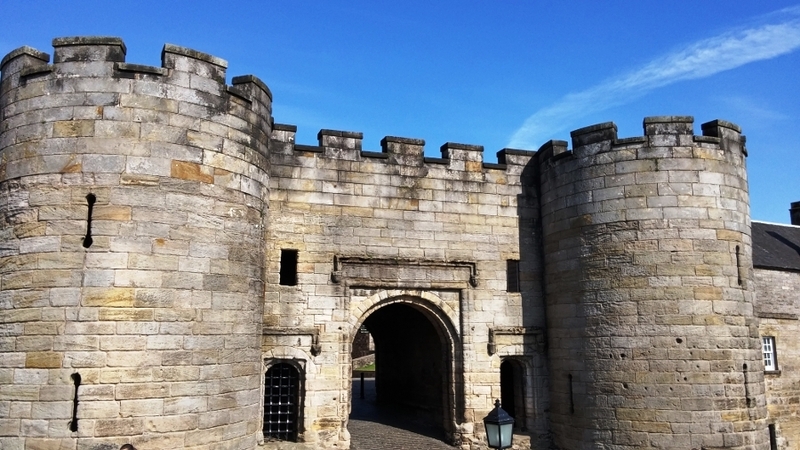 Architecturally, I found the division between the Outer Close and the Inner Close especially striking; the former was frequented by the staff, servants, and traders, while the latter comprised the royal buildings. 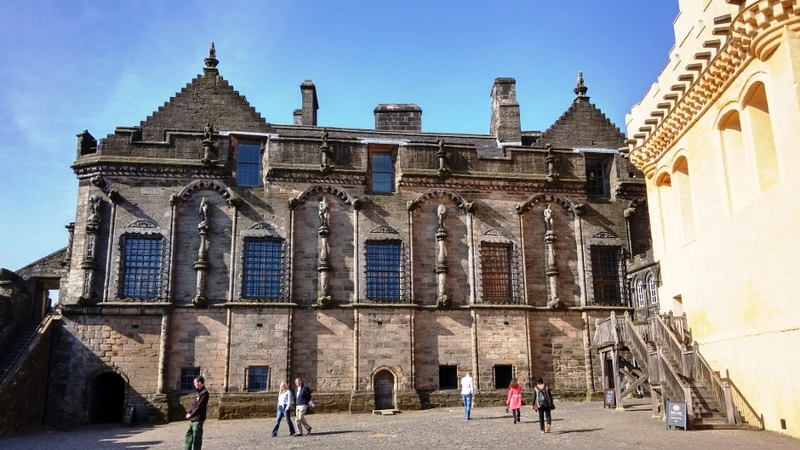 Our tour encompassed the Great Hall, of magnificent dimensions and fitted with stained glass windows, and concluded at the Chapel Royal, equally impressive with its intricate frieze detail. 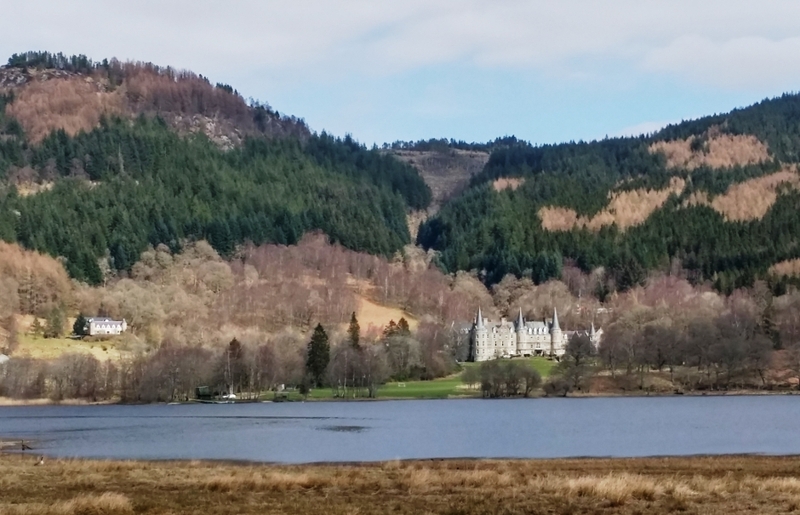 Knowledgeable to the last detail, Ross informed us that the unusual gold decor of the Great Hall’s exterior is in fact a lime wash chosen to convey the wealth and power of the sovereign, and to protect the building from erosion. 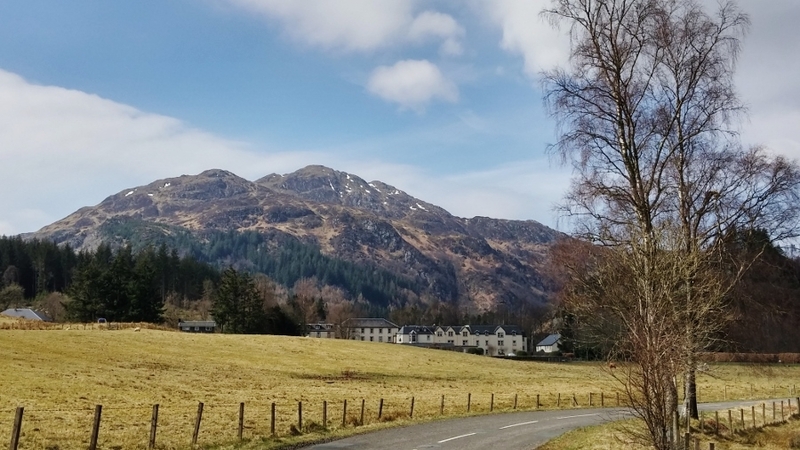 A relaxed air prevailed as we approached Aberfoyle, Mike establishing himself as a raconteur with an anecdote about territorial Highland cattle which had the tour bus in uproarious laughter. 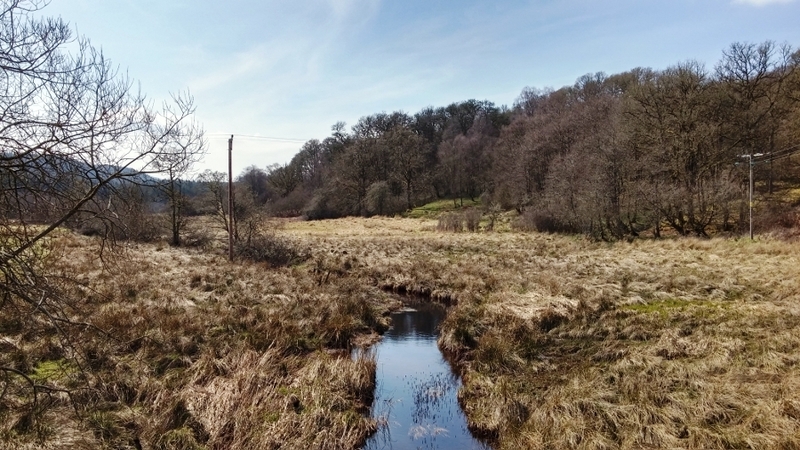 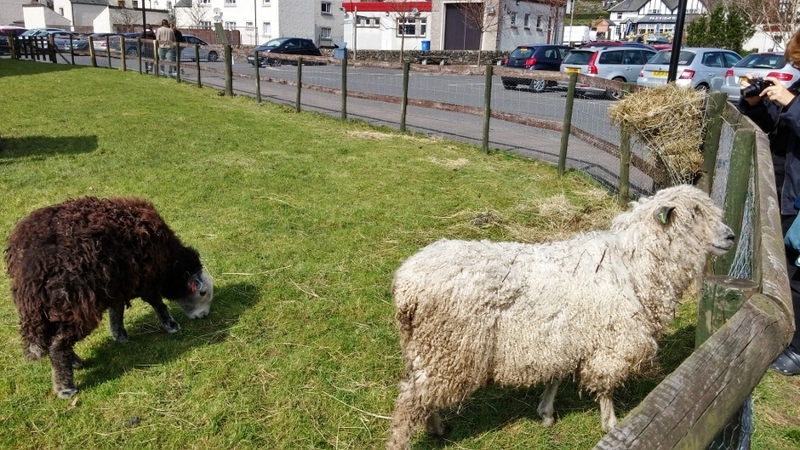 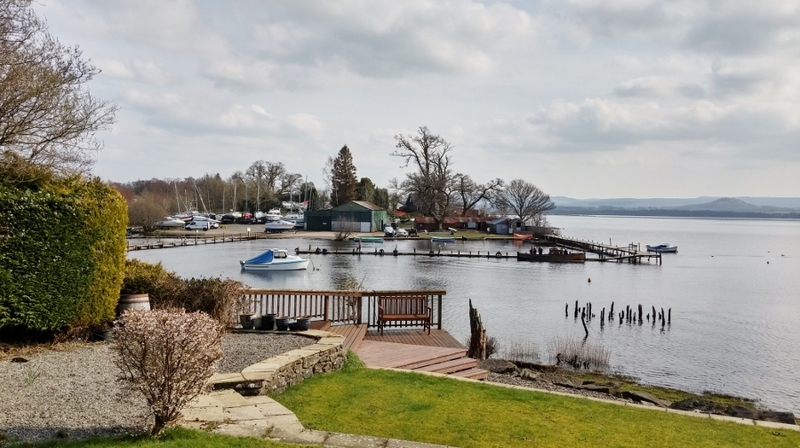 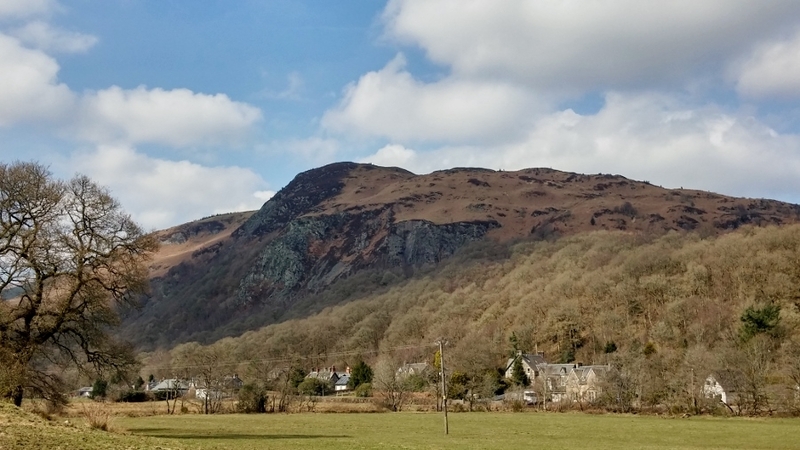 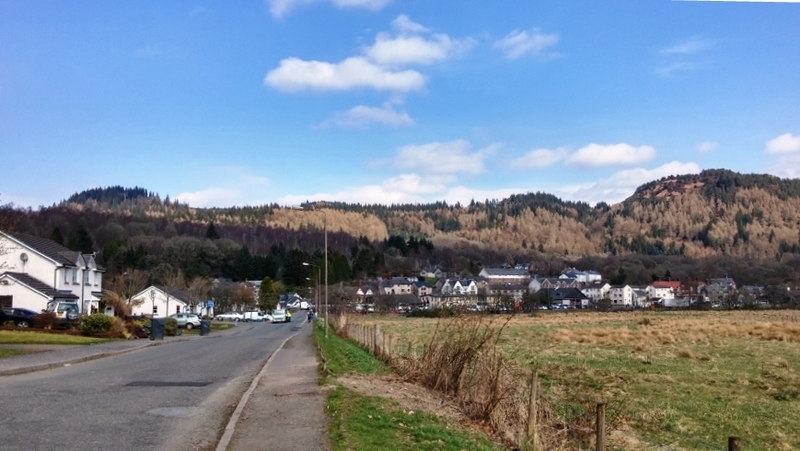 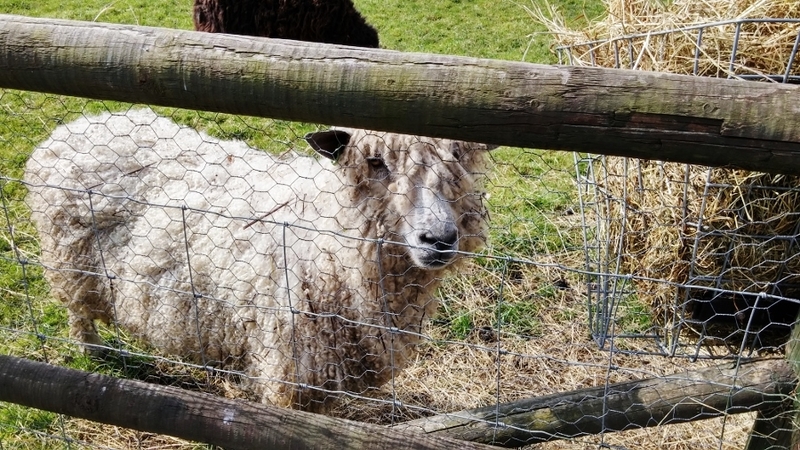 Aberfoyle is a picturesque village nestled amidst woodland, and made a perfect place to lunch and stroll under the sun, while the corralled animals, particularly sheep and owls, fascinated the internationals among our group seeking to engage with Scottish wildlife. 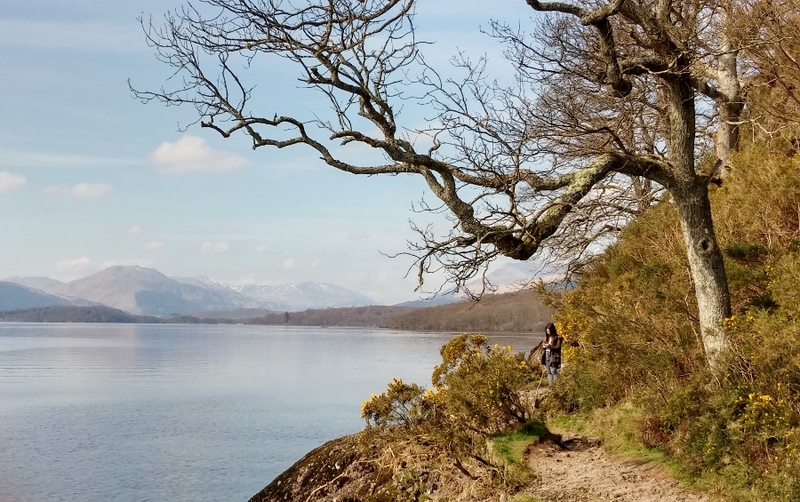 We disembarked by the beautiful banks of Loch Lomond, and proceeded to walk to a hilltop vantage point, stopping by the beach to skip stones and for group photographs. 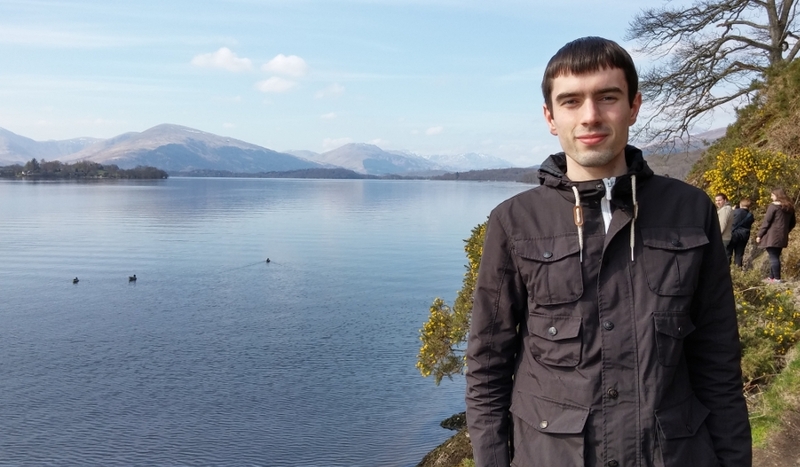 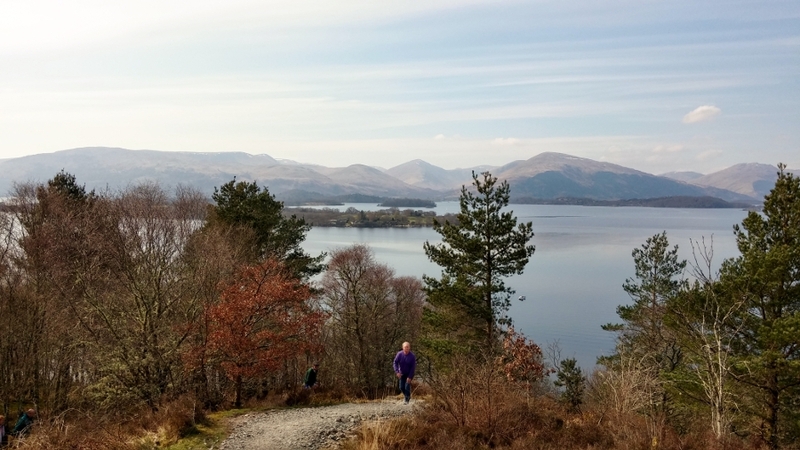 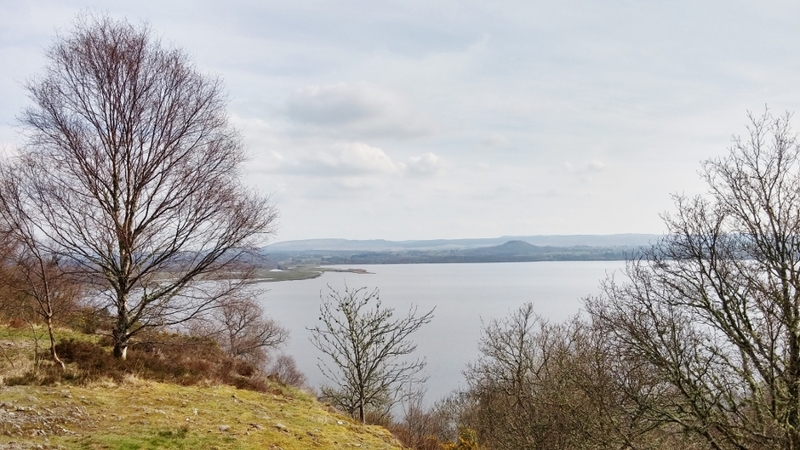 The hike was pleasant, and rewarded with stunning vistas over the loch, the most expansive inland body of water in the UK, and its islands, of which there are around 30. 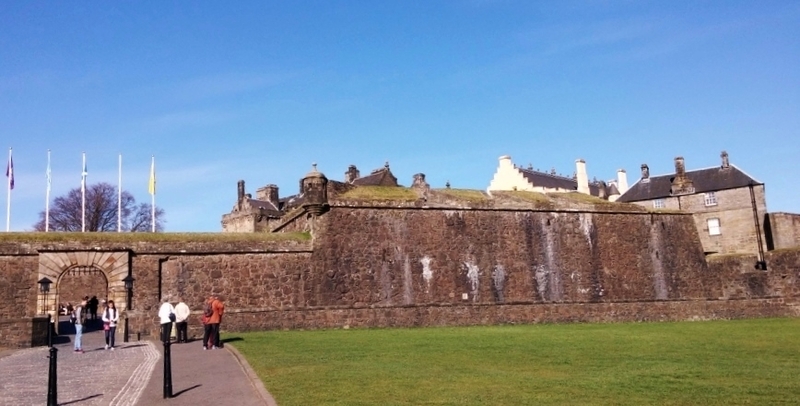 Satisfied, we returned to Edinburgh, Mike’s narrative now seguing to the Second World War, and interspersed with local music. 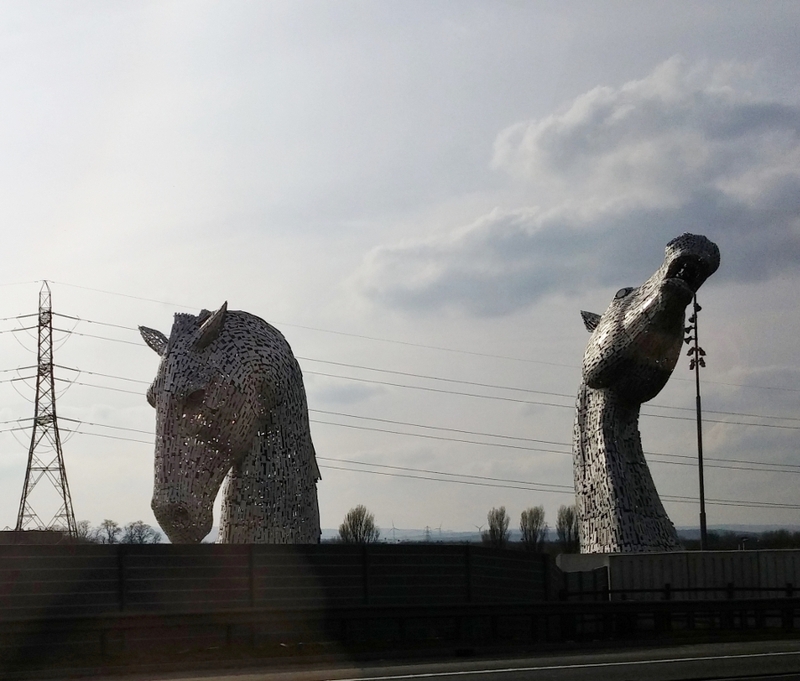 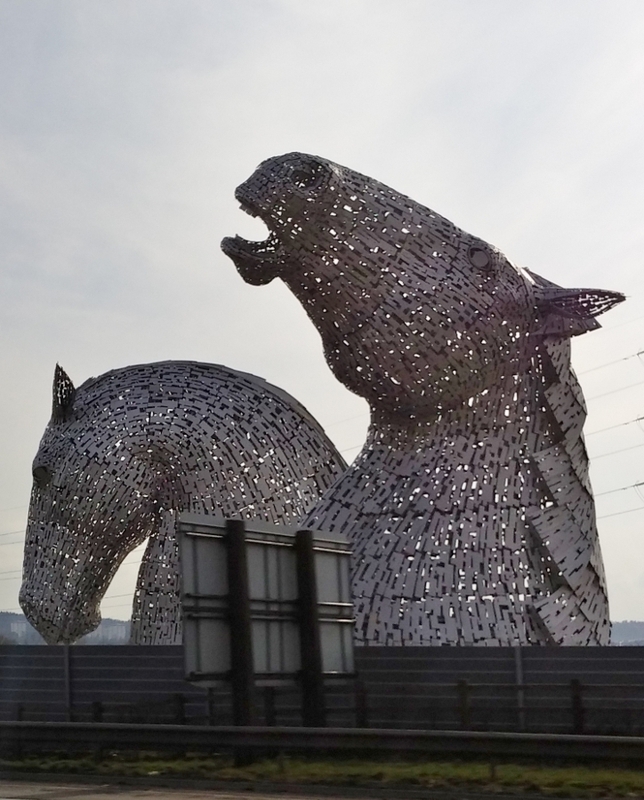 For a second time we passed The Kelpies, the incredible steel horse-head sculptures beside the Forth and Clyde Canal, celebrating the pivotal role of these animals as an early means of haulage across central Scotland (‘kelpies’ being a Scots mythological reference to shape-shifting water spirits, commonly perceived as horses). 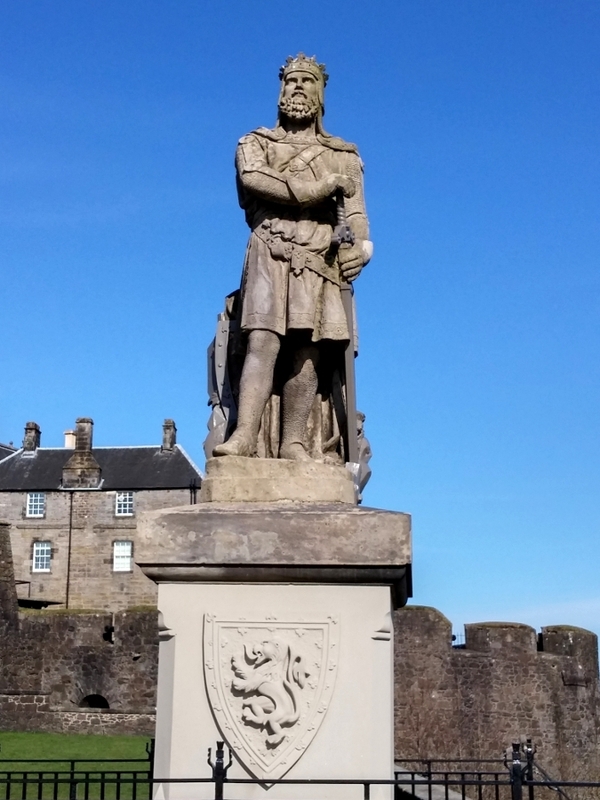 Our tour concluded in high spirits back alongside Rabbie’s Café on Waterloo Place. 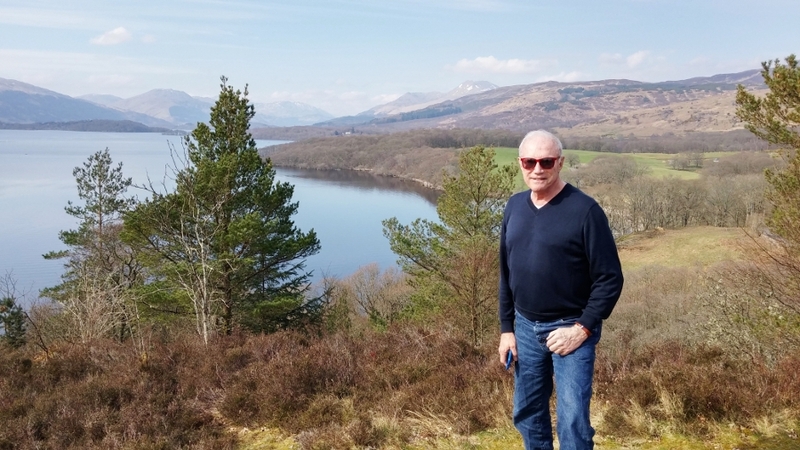 My first tour with Rabbie’s garnered universal acclaim from its passengers, and I can now add my personal testimony to our business recommendation to guests (who receive a 10 percent discount using our affiliate code). 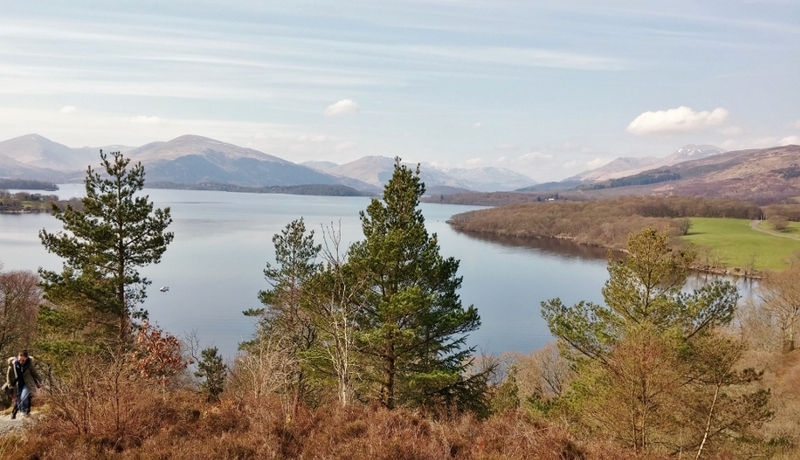 All-in-all, then, it makes a perfect proposition for anyone seeking to sightsee in Scotland!